just when you think you are progressing. just when you think things might be going your way you find out they aren't. life's like that . it gives you an answer. it might not be the answer you've been looking for , but its an answer just the same.so much for thinking people can change. just when i start forgetting that the only person that i can depend on changing is myself, i get a swift dose of reality that reminds me not to forget this mantra. too bad. 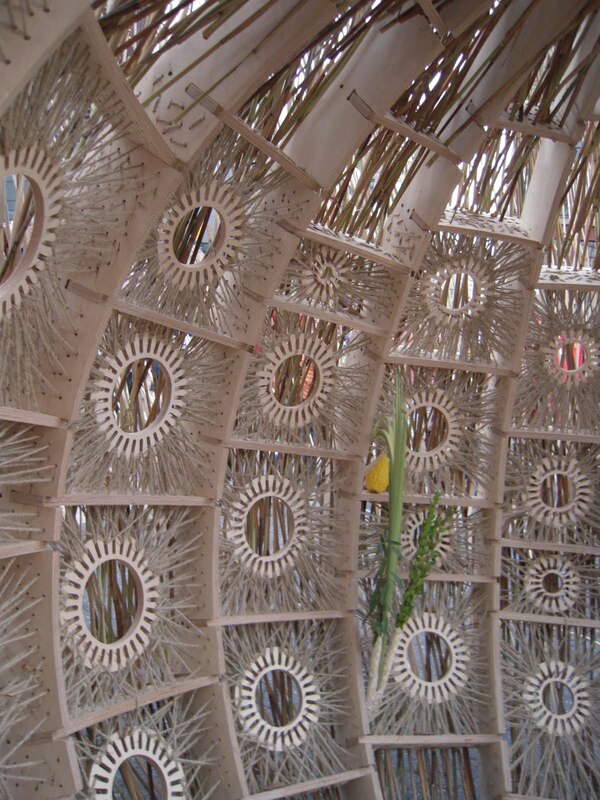 there was a competition of 600 designers from 43 countries to design the best sukkah. a panel of judges decided on 12 sukkahs which were the finalists. these 12 sukkahs were on display today in union square in new york city. the public was invited to view these sukkahs in union square and vote for the one sukkah that will be displayed in union square on sukkot this year. people will bid on these sukkahs and the proceeds will go to the homeless in new york city. this project is meant to be recreated globally so people can appreciate the beauty of a sukkah and what the holiday means. 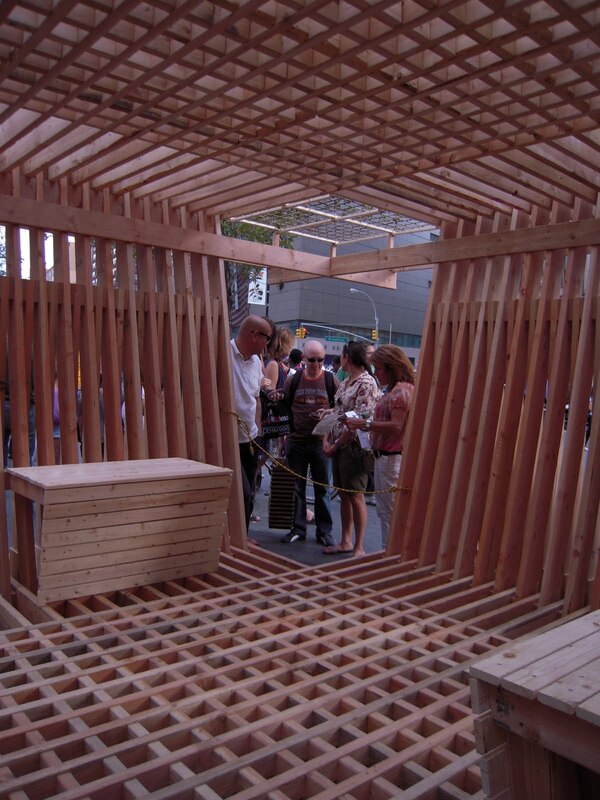 the center of architecture on la guardia place in nyc will house the other submissions to this contest beginning on the 22, which is erev sukkot. 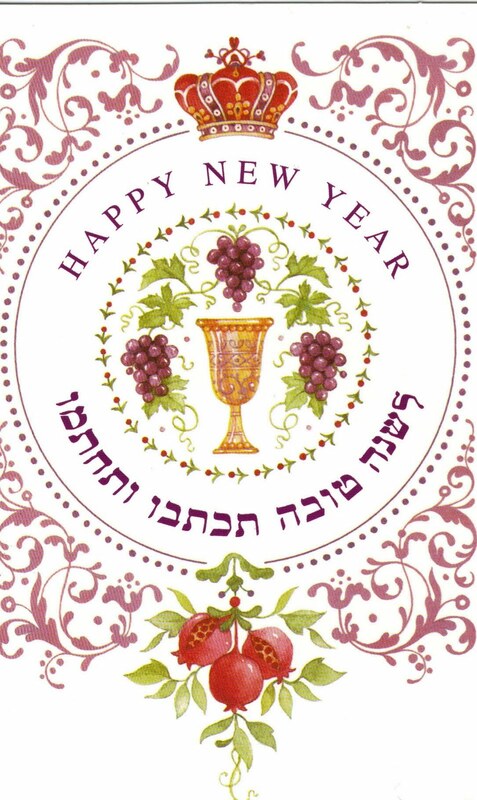 so most of us who will actually be celebrating the holiday wont be able to see it until after yom tov. 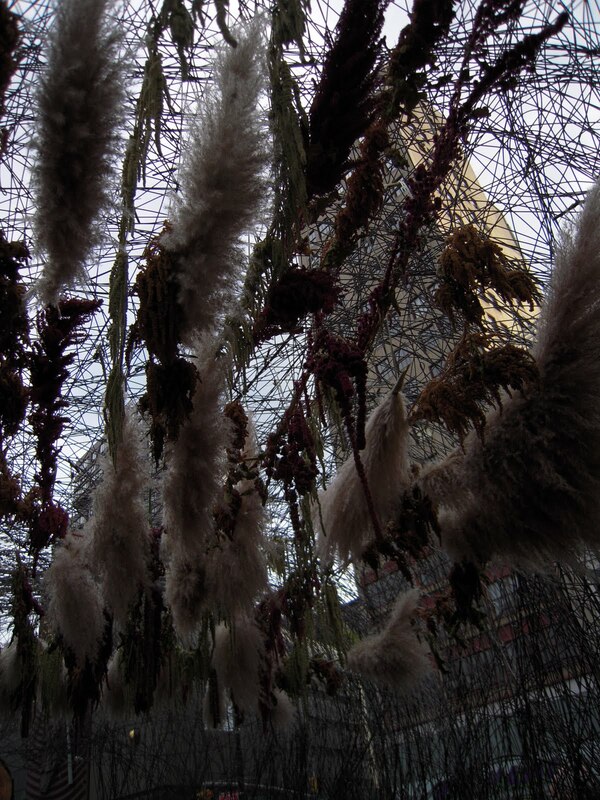 the display of sukkahs was as fascinating as the diversity of the crowd who came to see them. there were jews of all denominations as well as non-jews. this too was a purpose of this project. to bring people together. 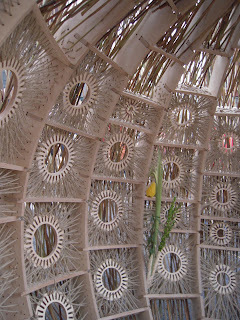 many of the sukkahs weren't anywhere near being kosher, but i loved them all. who would have imagined a sukkah would turn into a symbol to combat homelessness and world hunger? very cool. 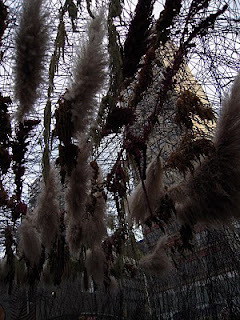 update : the second sukkah photo is from the winning sukkah. it is called fractured bubble . this one will be on display in union square during sukkot. whenever i follow a crochet pattern i have never stitched before i always find it amazing that all of those stitches crocheted together create the garment they create. it just doesn't make sense. this is is life. events seem so randomly connected but somehow you muddle thru and things can actually turn out well, but as in crocheting a new crochet pattern it doesn't always seem that it would. when one is nine years old one is curious to see what one would look like as an adult. now there is some type of video imager that can show you what you will look like in twenty years. i think some ritzy dermatologists or plastic surgeons have these machines. 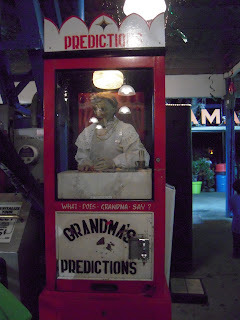 personally i would not like to get within 3 days of a machine like that. i hate surprises, but this is one surprise i would not mind waiting twenty years to behold. unless i was nine years old i really wouldn't want to behold and image of what i might look like in 20-60 years. if you could go back in time and relive certain parts of your life do you think you would really change how you handled things , not knowing what you know now? its easy to say that you would, but if you didn't know what the future would hold . truthfully , even if you did know that certain choices you made in the past would be counterproductive you still may not have changed how you did things. when one is in the moment it is hard to see the big picture. sometimes there are reasons one makes certain choices at certain times and at the time they seem inevitable.you may not have done things differently. hindsight is twenty / twenty. i just found this on u tube. its quite amazing. the jewish irving berlin wrote that goyishe classic, im dreaming of a white christmas and black, gentile johnny mathis sings the holiest yom kippur classic. check it out. he has an amazing voice. have an easy fast and a meaningful yom kippur in advance. for the past few years there has been major construction at the midwood q train stations. one construction worker was actually killed at one of the stations during this construction period. passengers whose usual subway stop is avenue h or avenue m have had to backtrack on their way home from manhattan. this week brooklyn bound service for the avenue h and avenue m stations have resumed. the threat of the shutting down of the manhattan bound sides of these stations is looming in the not too distant future. no signs have yet been posted, but this threat hangs heavy in the air. many will defect to the f train during this construction period not wanting to backtrack every morning on their way to work. though the avenue j station has remained open on both sides of the station, it too has been ruined during the current state of construction. when one exits the train there are MANY more steps then there used to be pre construction. it is very secluded on the brooklyn bound subway exit. very dangerous for woman subway riders exiting the station alone. i cant wait until all of this subway constuction ends and my commute is back to its usual normal. im back from the midwest. i had an enjoyable time there. glad to be in my own space though. of course i will be missing my vacation very much when i get back to work tomorrow. i went to the cemetery for the first time after my dad's funeral. it was sad, but i must say that it still hasn't sunk in totally. no pun intended. i feel that it was very good to have gone even so.i mainly went because it was before rosh hashana. it was a lot less painful talking with my mom about my dad's death and the events surrounding it than it had been five months ago. 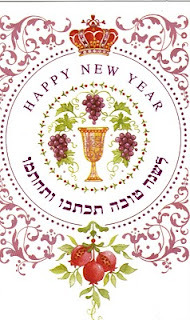 shana tova to everyone. its been a great year of blogging. i want to thank everyone for reading my blog this year. i look forward to writing in 5771! wishing everyone a year of health and happiness! recently i viewed a most excellent movie titled the boy in the striped pajamas. it is a film about a nazi soldier who moves his family to the countryside which is near a concentration camp he is "working" in. the ss man's young son wanders around and locates outer fence of this concentration camp and befriends a little jewish boy who resides in this concentration camp. to say any more about this movie would give away its poignant ending. im sure it is not possibly a true story, but its an effective one just the same. im visiting the midwest and my mother for the labor day/rosh hashana festivities that are upon us. its been five months since my dad passed away. now it seems like its been a long time. right after he passed it seemed more surreal than real. now it just seems real. it also is much easier to internalize. ive already had months to get used to it. it actually seems like even longer since i have spent time with my father as himself as opposed to his pre-death self. that was actually a year ago labor day when i visited my parents. the pain following my father's death was so brutal that its good that it has dissipated. time to remember the good times. the passage of time really compels one to to do so.you begin to forget the pain of the death scene and replace it with memories of the deceased as they were when they were alive.